Main Stream Hip-Hop, Top 40, Mash-ups, House. Local night is Tuesday. Celebrity hosted events, World-famous DJ's on monthly basis. When you walk into many nightclubs in Las Vegas, you're immediately greeted by distracting strobe lights and a slew of colors that can only be described as unappealing. White draperies, white walls, and all white accents are what earn this standout nightclub its rather strange name - for in Sin City, nothing is PURE. Basking you in the soft glow of iridescent lighting, PURE at Caesar's Palace presents an environment as welcoming as a five star restaurant. Where other club's rely on loudness in their decor, PURE is content with offering the bare minimum. Whether or not the decor is meant to match Caesar Palace's Grecian theme, PURE's interior setting does a fine enough job of helping the club live up to its name. The moment you enter PURE, you're welcomed with two entry choices - each with their own rewarding end. The entrance on your right will pit you in the midst of a low-key room where you'll have plenty of elbow room to move around and mingle. You're still inside the club, of course, so expect to have some spill-over from other areas of the club fill this space up a little bit throughout the night. If you go through the entrance directly ahead of you, you'll find yourself amidst a sea of dancing, alcohol infused club junkies whose only goal for the night is to have a good time and potentially end the night with a plus one. Two bar's sandwich this area and VIP booths and a performance stage overlook the crowded floor but offer the perfect vantage point for people watching. Within these two spaces, guests can dance the night away to tunes being spun by the likes of resident DJs such as DJ Cassanova, DJ Shift, DJ Cyperkid, and DJ Konnex. 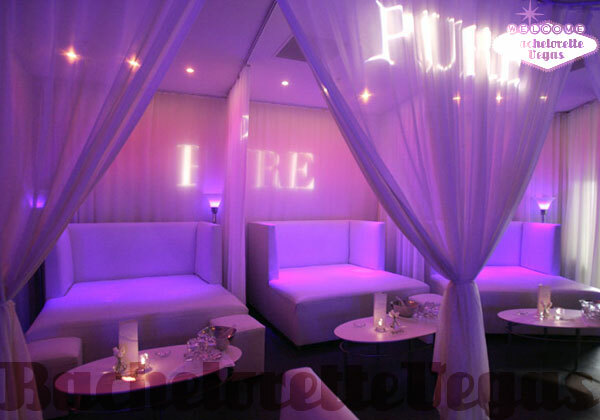 PURE is laid out in such a way that there exists several alcoves where one can escape to, but still be directly connect with the main section of the club. A small separate space known as the Red Room lends for a quieter atmosphere perfect for late night conversation and an escape from the booming bass. If the club starts to get a bit too stuffy and crowded for you, PURE is home to Sin City's first outdoor patio at a nightclub. This concept revolutionized the nightclub party, lending guests the ability to enjoy the fresh desert air without having to risk leaving the nightclub. 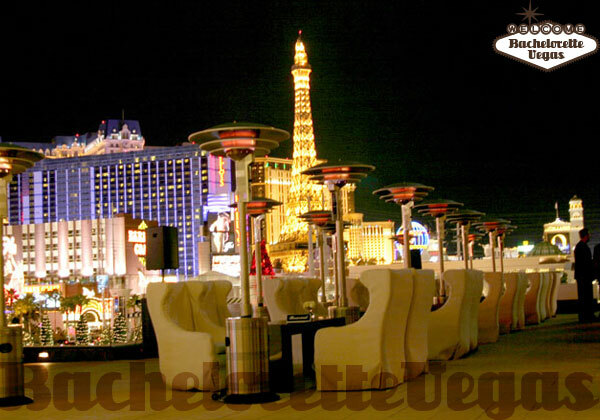 On this patio, patrons have access to a separate dance floor, a full sized bar, and views of the Las Vegas Strip and the pink glow of the Flamingo Hotel and Resort. Living up to its name, this Caesar's Palace nightclub is pure in so many ways - most importantly though, it is bound to be the purest night of entertainment you'll find in Sin City. Let the clean appearance of PURE pull you in, and by the end of the night you'll have no regrets. Pure Nightclub is one of the hottest spots in Las Vegas thanks to the huge celebrity following the club receives. The VIP area is often filled with celebrities. The main floor of the Pure Nightclub offers three bars and a huge dance floor. Around the dance floor you can lounge around on the bed-style seating. Of course, this is just one of the areas the Red Room, for VIP visitors, and the terrace are completely different environments with a life all their own. You will want to make sure you experience all three areas to get the full effect of Pure Night club. Angel Management Group is one of the country's leading nightlife, restaurant and bistro companies, with a name of brilliance and quality fabricated on the indubitable hit of its own venues. 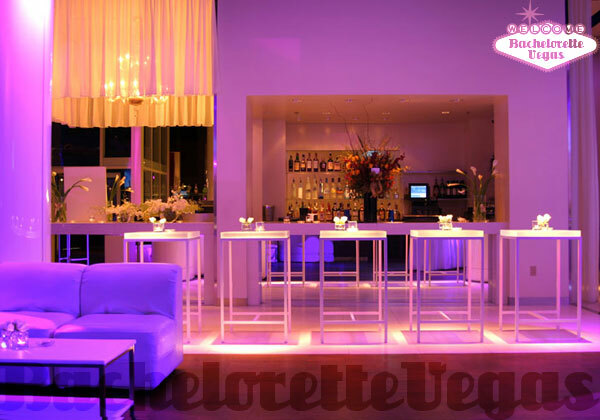 They constantly create modernism and improvement in style, energy and milieu whose main aim is to set the standard for nightlife and restaurant venues in Las Vegas. For reservation or VIP linepass to PURE Las Vegas, please contact us..